The nineteen nineties was Cyrus’s first decade, having previously been a mere sub-brand of loudspeaker specialist Mission. For this reason, it was an interesting time – a number of products appeared which showed the genesis of the company’s thinking, and some weren’t to last. 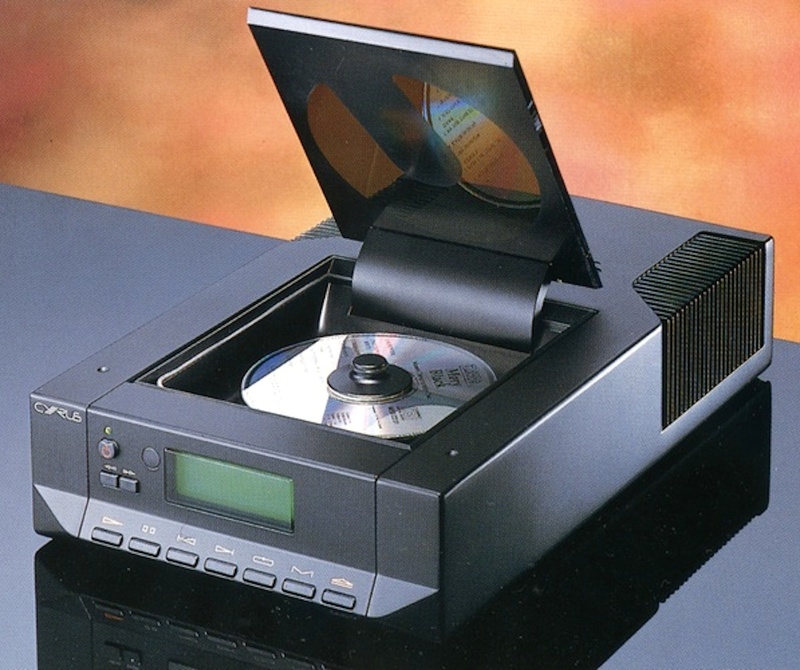 The Cyrus dAD7 is one such example, being the last gasp of the company’s desire to do a top-loading Compact Disc player. After the ‘7, all silver disc spinners would load from the front, via and tray and then latterly a slot. The dAD7 was basically a cost-cut, one box version of the Cyrus Discmaster/Dacmaster two box player. This had been the flagship source from the company’s early days, and was a nice incarnation of the popular Philips platform. The ‘7 effectively popped everything back into one box, using a Philips CDM9 swing-arm mechanism and an Analog Devices AD1861 DAC. The big story here was the choice of DAC chip – for much of the nineties, many manufacturers had run variants on the Philips Bitstream chip, whereas the AD1861 was a multi-bit chip, and even more significant it was a 18-bit, 8 times oversampling design too. Launched in 1997, Cyrus said that development of the dAD7 had taken three years to complete. It sported the Discmaster’s high stability, low jitter system clock module, and extensive inter-stage power supply decoupling together with star-earthing techniques to prevent noise going between the machines different stages. A total of thirteen fully regulated power supplies were fitted. The Philips CDM9 mechanism had a glass laser (at a time when many were moving to plastic), and was placed on a tuned, self-centring suspension system to prevent the ingress of vibration. The machine got a number of nice touches, including the lovely smooth black paint finish to the magnesium casework, and green backlit LC display. Round the back, as well as a coaxial S/PDIF digital output and RCA line outputs, there was a socket for a Cyrus PSX-R external power supply, and the company’s MC-BUS system connectors. The unit weighed 3.5kg, which was quite substantial for such a small (78x215x360mm) box. Sonically, the dAD7 was a sophisticated sounding device by mid-nineteen nineties standards. It was clean, open and detailed, with a good deal less noise than some rival players – but it didn’t have that abrupt, mid-forward balance that many Japanese designs came with. There was a sense of smoothness and decorum to it that wasn’t so common in those days. Tonally, it was a little lighter and brighter than some Bitstream designs, but it was still a good deal more refined than earlier Philips TDA1541-based machines. In short, it trod a carefully judged path between insight and excess; it was musically propulsive and engaging, but not hard and jarring. Bass was solid and tuneful, treble decently delicate and spacious. Overall, the Cyrus gave a surprisingly svelte sound for a mid-price machine. These days, they’re surprisingly inexpensive to buy. A decent one will set you back around £200, which is a bargain considering the quality of build and finish. Unlike most machines now, almost all of which use adapted CD- or DVD-ROM drives, the dAD7 is a real, purpose-built Compact Disc player and feels like it. Add a PSX-R and it’s even better, with a further smoothing of the sound and an obvious improvement in low level detailing. Something of a historical curio now, it’s well worth snapping up if you can find one. Je n’arrive pas à connaître exactement le type de CDM9 utilisé : 9/44 ? 9/65 ? 9/pro ? J’attends cet appareil que je viens d’acheter sur E BAY . Merci de me renseigner. Il sagit de la CDM/44 que l’on trouve encore quelque peu . Les Chinois réalisent des clones qui machent très bien paraît-il.